CD+DVD Both comes in a A5-DVD-Box with a 28-page booklet, limited of 1000 copies. Info:A5 in a noble digipak fold with gold hot foil embossed slipcase that. In 65 minutes of playing Wolf Moon takes the listener on a journey into the mythical Iceland. the invisible people and the old gods before the world and a new zerstürzte purchased. 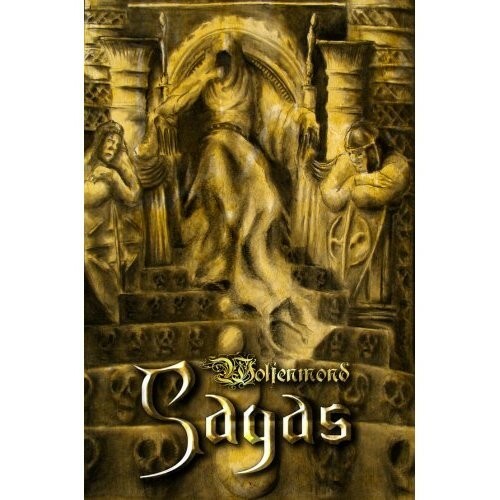 DVD-2 Video "Behind The Scenes"
Customer evaluation for "Wolfenmond - Sagas CD+DVD BOX (Lim1000)"